Phoenix and the turtle : for string orchestra [eScore] / Colin Brumby. 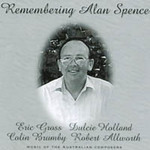 Remembering Alan Spence : music of the Australian composers. Phoenix and the turtle : for string orchestra / Colin Brumby. The phoenix and the turtle / Colin Brumby. Phoenix and the turtle / by Colin Brumby. First performance: 1974. Canberra Theatre. Inspiration for the work came from the Shakespearean poem of the same name. Program note: Colin Brumby's "Phoenix and the turtle"
14 Jul 2011: at ACO Baroque Virtuosi tour (Illawarra Performing Arts Centre (IPAC)). Featuring Australian Chamber Orchestra, Helena Rathbone. 12 Jul 2011: at ACO Baroque Virtuosi tour (City Recital Hall Angel Place). Featuring Australian Chamber Orchestra, Helena Rathbone. 11 Jul 2011: at ACO Baroque Virtuosi tour (QPAC Concert Hall). Featuring Australian Chamber Orchestra, Helena Rathbone. 10 Jul 2011: at ACO Baroque Virtuosi tour (Sydney Opera House, Concert Hall). 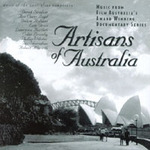 Featuring Australian Chamber Orchestra, Helena Rathbone. 9 Jul 2011: at ACO Baroque Virtuosi tour (City Recital Hall Angel Place). Featuring Australian Chamber Orchestra, Helena Rathbone. 5 Jul 2011: at ACO Baroque Virtuosi tour (Adelaide Town Hall). Featuring Helena Rathbone, Australian Chamber Orchestra. 3 Jul 2011: at ACO Baroque Virtuosi tour (Melbourne Town Hall). Featuring Helena Rathbone, Australian Chamber Orchestra.